Tattoos for Permanent Cosmetic Reasons. You probably wouldn’t think it, but women, and some men get tattoos solely for cosmetic or aesthetic reasons. The most common of procedures being permanent lipstick, lip-liner or eye-liner. However other cosmetic tattoos include covering scars from major injuries or even following surgery after breast cancer. This post covers all you need to know about Permanent makeup tattoos. The procedures including costs, techniques and pros and cons. What Cosmetic Options Are There? It depends on your own requirements as to which procedure you should go for. For example, aesthetic options for beauty include tattooed eye-liner, tattooed lip-liner and lipstick, and even hair imitation. Even permanent eye shadow can be considered however is not commonly seen. For cosmetic options due to injury or illness, options include colored tattoo for skin tones. These can be to cover scars, birthmarks or even to complete areola colors; this process is also called repigmentation. These are more often used by people who may be self-conscious about marks from birth or after surgery. Where Can I Get One Done Tattoos and Permanent Make-up? As with any type of procedure that requires needles and/or medical equipment, it is always best to seek out professional advice and technicians who are trained and qualified to do so. Make sure your professional has all the right qualifications, has the right equipment and all of it is sterilized at the time of use. If possible, ask that needles be opened in front of you for peace of mind. Gloves should be worn and, if necessary, masks. It may also be a wise idea to speak to either your GP or a doctor or specialist at a hospital and getting a referral before going through with any treatment. Anything to be done for medical purposes will usually be through your hospital regardless. How Are These Procedures Performed? First and foremost a consultation is a carried out to examine the person, look at their wishes and to see if the procedure required can be carried out safely. After a decision is made, a color is chosen, whether it be a dark tone for eye-liner or a natural and matching skin tone for covering marks. This is then followed by a tattooing session where coils, pen or rotary machines are used to insert the color into the first few layers of skin. After the procedure is complete it is paramount that at least one follow up consultation is booked to check how well it is healing and also that no health complications have developed. Have a look at this tutorial video of a lip-liner procedure being done and the before and after images. via. Is It Painful? It’s a tattoo! Personally, I find tattoos more therapeutic than painful but everyone is different. I can imagine though a tattoo around your eyes being somewhat uncomfortable so please don’t expect a typical tattoo sensation. Tattoos on other areas of the body vary in the amount of pain. Over bones tend to hurt more than fleshy areas so skin tone tattoos on or around areola should not be as bad. You can request anesthetic if you are scared or nervous about the treatment or the area that is to be tattooed is highly sensitive and it has been recommended by your technician. What Can I Expect To Pay? You can typically expect to pay anywhere between $400 and a few $1000 depending on the procedure. Some technicians will charge by the hour, so it is dependant on what procedure you are having done as to how much it will cost. Be sure though that the price you pay included the first consultation and at least one follow up appointment. Your technician should be thoughtful towards your welfare and health rather than his bank balance. What Are The Pros And Cons? Well the pros are that you ideally end up with a permanent and perfect tattoo imitating eye-liner, lip-liner, lipstick, hair or skin pigmentation. People who would benefit from this type of tattoo are people who cannot do their own makeup efficiently such as people with dull vision or even people who suffer from medical conditions such as Parkinsons Disease. Women who are self-conscious about certain aspects of their image can also benefit. Just as the video shows, a lady who wanted a more defined lip line got her wish by having this procedure done. Even people who are allergic to make up chemicals can use this as an alternative. The cons are the price and healing time. If having a tattoo done, you can expect side affects such as redness or swelling to occur. It is rare, but not unheard of, that bruising may occur. Bruising can happen anywhere on the skin but will diminish over time. Procedures done on the face are guaranteed to be noticed more so for a few weeks you may feel a bit more self-conscious about the way you look. On the upside, this will decrease over time. What If I Do Not Like My Tattoo? As with any tattoo, it is permanent. Lasering is not really an option when it comes to getting rid of aesthetic tattoos, only because it can cause scarring which is something most people wish to avoid. Instead, though, you can opt to have a slight change in color, depth or size. Luckily, skin tones are considered neutral so there is a bit of leeway when it comes to tones and colors. You should consult with your technician as to whether it is safe to perform a ‘top up’ session or to decide if one is needed at all. Have a look at the next page for before and after images of different permanent cosmetic tattoos and also celebrities who have had it done. 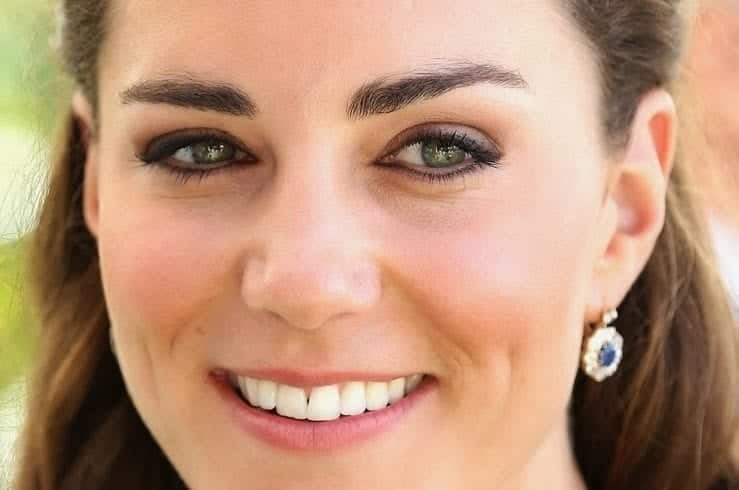 Kate Middleton has permanently tattooed eye-liner. Victoria Beckham has permanent eyebrows and is rumored to have permanent eye-liner. Permanent tattoo creating the image of hair growth for sufferers of Alopecia. Permanent tattoo on the upper and lower eyelids creating eyeliner effect. Permanent tattoo on the lips for a fuller and more defined look with lip liner. Permanent tattoo defining the shape of the eyebrows and also making them look fuller. Permanent tattoo using the base skin tone and covering up a scar.